Music Director of the Elgin Symphony Orchestra (ESO) Andrew Hilary Grams announces the ESO’s 2019-20 season, which marks his seventh as music director. The season features a series of traditional musical masterpieces and exciting new Special Events that can be purchased separately, or as part of a personally-curated Build Your Own Series at a discount. “We’ve spent many months taking a good look at programming and we learned a lot through research, post-concert surveys and focus groups,” notes Grams. “We listened to what you had to say and created concert programs with you in mind. We think you’re going to love the results.” The Classics Series includes well-known pieces like Debussy’s Prelude to the Afternoon of a Faun, the great Mozart’s Symphony No. 40, and Ravel’s sensuous Bolero, as well as lesser-known works like Edward’s Maninyas Violin Concerto, Liszt’s dark Totentanz, Rachmaninoff’s Rhapsody on a Theme by Paganini, Schoenberg’s Verklärte Nacht and the romantic Wagner Siegfried Idyll, a deeply-personal work dedicated to his wife and family. “We offer programs of entertainment and exploration. We’re looking for Musical Explorers – passionate music lovers who venture beyond boundaries and genres and enjoy experiencing great music,” says Grams. Due to popular demand for more options and flexibility, the ESO Pops Series is being restructured as Special Events. These single ticket events may be combined to create a personal Build Your Own Series, or may be added to the Classics Series for discounts. The Build Your Own Series is our most popular option, offering savings on as few as three (3) concerts (excludes Abbey Road). Patrons can curate their own series based on schedule, budget and taste and receive benefits like presales on added events, free ticket exchanges, payment plans and half-price valet vouchers. Tickets for the general public go on sale summer 2019. Single Ticket exchanges accepted for a five dollar ($5) per ticket fee. The ESO introduces our exciting new 2019-20 Special Events – Bravo Broadway and Abbey Road concerts; Inside the Music, which explores musical masterpieces, and family-friendly programs Deck the Halls and Mariachi!. These concerts are available for purchase as single tickets or may be combined for savings in a Build Your Own Series. The ESO’s spectacular finale concert program May 2 & 3 includes the blockbuster masterpiece, The Planets, inspiration for composer John Williams’ Star Wars soundtrack! This sensational program is not-to-be-missed and may be added to a Classics Series for 20% savings or for 10% savings when part of a Build your Own Series. The 2019-20 ESO Classics Series contains works by Bach, Chabrier, Debussy, Dvořák, Edwards, Elgar, Liszt, Mozart Rachmaninoff, Ravel, Respighi, Schoenberg, Strauss, Stravinsky, Verdi and Wagner. The season finale May 2 & 3 highlights the classical masterwork The Planets by Gustav Holst and can be added to a Classics or a Build Your Own Series at a discount. New 2019-20 Special Events are Bravo Broadway October 4 & 5, Inside the Music with Andrew Grams & the ESO on November 1 and April 3, Deck the Halls December 14 & 15, Abbey Road: Tribute to the Beatles with Jeans ‘n Classics January 25, Mariachi! March 7 and Season Finale: The Planets May 2 & 3. All are available as single tickets or as a part of a Build Your Own Series for a discount. Concerts on November 2 and 3, Dance!, feature Ravel’s famous Bolero, and other dance works, including Ravel’s Mother Goose ballet, Chabrier’s España and Australian composer Ross Edwards’ Maninyas Violin Concerto, which is based on rhythms and sounds found in nature and has been choreographed world-wide, notably for the San Francisco Ballet. Guest artist Adele Anthony, violin will perform the work. Grams will host the first of two Inside the Music with Andrew Grams & the ESO on Friday, November 1 at a new time, 7:30 pm, providing insight into Ravel’s Mother Goose ballet. ESO audience favorite, pianist William Wolfram, returns to perform in concerts highlighting the great Wolfgang Amadeus Mozart January 10 at Prairie Center for the Arts, and January 11 & 12 at Hemmens Cultural Center. Andrew Grams, an accomplished violinist, will play and conduct. The concerts open with Respighi’s Ancient Airs & Dances, Suite No. 1. Mr. Wolfram will play Mozart’s Piano Concerto No. 23, and the program closes with Mozart’s Symphony No. 40. On February 8 & 9, Music Director Andrew Grams will conduct The Power of Fate, featuring works by Verdi, Strauss and Wagner. Frank Rosenwein, principal oboe of the Cleveland Orchestra & an Evanston native, will perform Strauss’ sublime Oboe Concerto, an ESO premiere. Other works include Elgar’s In the South, also an ESO premiere, Verdi’s La Forza del Destino Overture and Wagner’s Siegfried Idyll, a romantic and intimate tone poem written for his wife Cosima. Grams conducts an all-orchestral program April 4 & 5 that showcases the award-winning Elgin Symphony Orchestra, known nation-wide for their quality performances and high level of musicianship. The program holds Debussy’s evocative Prelude to the Afternoon of a Faun, Schoenberg’s stunning Verklärte Nacht and Brahms’ Symphony No. 3. Grams will host Inside the Music with Andrew Grams & the ESO on Friday, April 3 at a new time, 7:30 pm, providing insight into Brahms’ Symphony No 3. The 2019-20 season finale concerts on May 2 and 3 led by Andrew Grams highlight works by Gustav Holst-The Hymn of Jesus, featuring the Elgin Master Chorale and the piece, The Planets. On March 7, Andrew Grams will conduct the Special Event, Mariachi!, featuring guest artists Mariachi Acero. Guest conductor José Luis Gomez, music director of the Tucson Symphony Orchestra, leads Classics concerts November 23 & 24 that feature Isabella Lippi, ESO concertmaster and Eleanor Bartsch, ESO associate concertmaster, performing Bach’s Concerto for Two Violins. The program also includes Dvořák’s Symphony No. 8 and the ESO premiere of Stravinsky’s Concerto in D, “Basel Concerto”. Free ESO Listener Clubs, hosted by music historian Jim Kendros, are offered the Wednesday before Classics Series performances at the Gail Borden Public Library in Elgin and GreenFields in Geneva. Free and open to the public, Kendros discusses the composers and the music that will be presented in upcoming concerts. Saturday night concertgoers are invited to “Mingle with the Musicians” after the show at area restaurants, where they can meet Music Director Grams, guest artists and ESO musicians. Andrew Grams will host two (2) of the ESO’s popular, Inside the Music with Andrew Grams & the ESO Special Events, lively and informal presentations that use musical excerpts to explore a famous masterwork. Music Director Andrew Grams, a brilliant communicator, leads the discussion, with the Orchestra illustrating points by playing sections of the piece, and then pulling-it all together with a full performance of the work. This season, with a new start time of 7:30 pm, Inside the Music will examine Ravel’s Mother Goose ballet November 1 and Brahms’ Symphony No. 3 April 3. On October 4 at the Prairie Center for the Arts, and October 5 at the Hemmens Cultural Center, Squires will lead the ESO and guest soloists TBA in Special Event concerts, Bravo Broadway, featuring Broadway musical favorites throughout the years. Squires will conduct the ESO’s holiday concerts, Deck The Halls, a popular tradition in the western suburbs, on December 14 and 15. These extravaganza performances include soloists, dancers, the Elgin Master Chorale and an appearance by a very special visitor from the North Pole. Squires will lead the Special Event concert, Abbey Road: Tribute to the Beatles January 25 at Hemmens Cultural Center. Jeans ’n Classics guest star. The ESO will also offer a variety of programming for young people and their families during the 2019-20 season. Ainsworth Concerts for Youth will bring around 8,000 area students to Hemmens Cultural Center with the ESO providing teachers guides prior to the performances to enhance the concert experience. ESO Masterclasses with visiting guest artists will be presented free and open to the public at the Gail Borden Public Library. And finally ESO Traveling Ensembles will visit area schools giving students the chance to hear classical music up close and personal. For more information, contact Director of Community Engagement and Orchestra Personnel Wendy Evans at w.evans@ElginSymphony.Org or 847-888-0404, ext. 238. In addition, the ESO will continue its collaborations in the community during the 2019-20 season with Advocate Sherman Hospital and Advocate Good Shepherd Hospital (Musicians Care), Food for Greater Elgin, Gail Borden Public Library, Rotary International, the Barrington Area Chamber, the Elgin Area Chamber, Elgin Development Group, and more. ESO series renewal materials for the 2019-20 season are now available to current subscribers. Renewal deadline is March 29, 2019. New series orders are being accepted during the renewal period. Public on sale and ticket exchanges begin summer 2019 and tickets will be mailed in August 2019. For more information, call Patron Services Manager Audra Odzana at the ESO Box Office, 847-888-4000, Monday through Friday, 10:00 am-4:00 pm, email BoxOffice@ElginSymphony.Org, or visit our website at ElginSymphony.Org. Patrons may also visit ElginSymphony.Org to learn more about the ESO’s many activities in the community, read program notes, find area restaurants, hotels and parking information, make a donation and find out how to sponsor a program or series. “Like” the ESO on Facebook, Instagram and Twitter. Andrew Grams became music director of the Elgin Symphony Orchestra in June 2013 after an international search. A graduate of the Juilliard School and the Curtis Institute of Music, he holds degrees in violin performance and conducting and has appeared with many of the great orchestras of the world to critical acclaim. Grams was a protégé of Franz Welser-Möst and served as assistant conductor for the Cleveland Orchestra for three years. Named 2015 Conductor of the Year by the Illinois Council of Orchestras, his charismatic conducting and easy accessibility have made him a favorite of Elgin Symphony audiences. To learn more about Andrew Grams, visit andrewgrams.com, @andrewhilarygrams on Facebook and @andrewhgrams on Instagram and Twitter. The ESO offers programming unmatched for an entertaining, informative and relaxing cultural experience. The ESO has won Illinois Professional Orchestra of the Year an unprecedented four times – in 1988, 1999, 2005 and 2016 – and works to create an enjoyable entertainment experience that goes beyond the magnificent music performed by some of the best musicians in the region. There is accessible, free parking around the Hemmens Cultural Center and valet service available. Area student musicians often perform in the lobby before concerts and patrons can purchase unique, music-themed gifts at the Elgin Symphony League Boutique. Pre-concert chats are given by Andrew Grams, guest artists and others one hour before Classics Series performances and Saturday night patrons are invited after concerts to Mingle with the Musicians at area restaurants. In addition, free Listeners Club lecture/discussions presented by music historian Jim Kendros are offered before ESO Classics Series concert weekends on Wednesdays at 11 am at GreenFields of Geneva and 1 pm at the Gail Borden Public Library. Patrons can curate their own series with a Build your Own Series. If a patron can’t make a concert, the ESO offers free exchanges to subscribers and to single ticket buyers for a small fee. The ESO is a world-class orchestra providing quality musical explorations that are entertaining, hassle-free and conveniently located close to home in the western suburbs. The ESO-Transforming the Symphony Experience. For more information, visit ElginSymphony.Org. Elgin Symphony Orchestra (ESO) board member and former chair, Karen Schock is highlighted as a Women of Distinction winner in the July 2018 Kane County Magazine: Karen Schock feature July 2018 KCMag. Karen has worked tirelessly in education and music for decades, helping make her community a better place to live, work and visit. Karen Schock is also the 2017 winner of the YWCA Elgin Volunteer & Community Service Award. In addition to being a 30-year subscriber to the ESO with her husband Ed, Karen has been an ESO Trustee since 2007, a member of the board since 2009 and was elected Board President 2013, a position she held until June 2017. Through the years, she has been involved with the Boys & Girls Club of Elgin, Gail Borden Library Foundation, Food for Greater Elgin, Elgin Heritage Foundation, and Gifford Park & East Side Neighborhood Associations. Karen was the founding co-chair of the Gail Borden Library Foundation Annual Book Sale which offers books for sale through six different venues, raising funds which support special projects and exhibits at the library including the summer reading program, the Robot Zoo, Discover Space, and the upcoming Dinosaur exhibit. To date they have raised over $250,000 for library activities and projects with a product price-point of only $1 and $2. A longtime member of the Elgin Heritage Commission, Karen served as both the Chair and Vice Chair. During her Vice Chair term, the commission passed the Historic Preservation Ordinance. She also co-authored the book “Elgin’s Heritage: Architecture” which explores the historical and economic circumstances which gave rise to different architectural housing styles in Elgin since 1845. Karen was honored by the Boys & Girls Club as their Volunteer of the Year for her work with at-risk youth. As the Chair and Founder of the Keeping the Promise Foundation, she helps students fulfill their dream of going to college. She was a founding member and the chair of the Elgin Charter School Initiative, where she recruited members to the Design Committee and oversaw the application process. Karen volunteers at Food for Greater Elgin as a facilitator as they go through their strategic planning process. She has even found ways to support the community through acting, in both the Elgin Cemetery Walk and in the play Love, Loss and What I Wore, which raised over $5000 for the Community Crisis Center. She is a board member of East Side Neighbors, board member and president of the North East Neighborhood Association, board member and chair of the Elgin Heritage Commission and member of the Neighborhood Housing Authority Board of Directors. 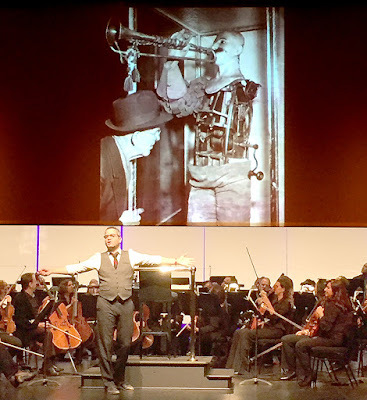 Now in its 68th season, the Elgin Symphony Orchestra (ESO) offers programming unmatched for an entertaining, informative and relaxing cultural experience. The ESO has won Illinois Professional Orchestra of the Year a record-setting four times – in 1988, 1999, 2005 and 2016. We at the ESO strive to create an enjoyable entertainment experience that goes beyond the magnificent music performed by some of the best musicians in the country. There is accessible, free parking around the Hemmens Cultural Center and valet service available. The festive concert event often features musicians performing in the lobby before concerts, and patrons can purchase unique, music-themed gifts at the Elgin Symphony League Boutique. Pre-concert chats are given by music director Andrew Grams, guest artists and others one hour before most performances. Saturday night patrons are invited after concerts to meet Andrew Grams, guest artists and ESO musicians at Mingle with the Musicians, held at area restaurants. Music historian Jim Kendros offers free Listeners Club discussions the Wednesday before ESO Classics Series concert weekends at Greenfields of Geneva and the Gail Borden Public Library. Flex passes are available for choosing concerts at a later date, and if a patron can’t make a concert, the ESO offers free exchanges to subscribers and to single ticket buyers for a small fee. The ESO is a world-class orchestra presenting quality musical explorations of some of the greatest music ever written, conveniently located close to home in the western suburbs. The ESO-Transforming the Symphony Experience. ElginSymphony.Org. Music Director of the Elgin Symphony Orchestra (ESO) Andrew Hilary Grams announces the ESO’s 68th season, which marks Grams’ sixth as music director. The season features many of the great classical masterworks and lesser-known hidden gems. Also featured are contemporary works by American composers John Corigliano and Mason Bates, Chicago Symphony Orchestra Composer-In-Residence from 2010-15. Seven (7) works will receive their ESO premieres. The season also includes the ESO debut of Joshua Roman, cello; the return of popular favorites like Natasha Paremski, piano, and highlights the solo talents of ESO musicians, concertmaster Isabella Lippi and horns Greg Flint and Steve Replogle. Two (2) Pops concerts are set for the season, including an evening of waltzes and polkas conducted by Music Director Grams – A Night in Old Vienna – on January 26 and 27, 2019. Andrew Grams leads six (6) weeks of subscription programs with the ESO during the 2018/19 season, and will present Musically Speaking Pre-Concert Chats before each Classics Series performance. Bates’ Cello Concerto, Chopin’s Piano Concerto No. 2, Corigliano’s Troubadours Variations for Guitar and Chamber Orchestra, Mahler’s Adagio from Symphony No. 10, Kodály’s Peacock Variations, Telemann’s Concerto for Two Horns and Two Violins and Villa-Lobos’ Concerto for Guitar and Small Orchestra are all receiving their ESO premieres this season. Grams will also conduct a Pops concert – A Night in Old Vienna. Andrew Grams and the ESO will host two (2) of the ESO’s popular, new Inside the Music with Andrew Grams events, lively and informal 90-minute presentations that use musical excerpts to explore famous musical masterworks. Music Director Andrew Grams, a brilliant communicator, leads the discussion, with the Orchestra illustrating points by playing sections of the piece, and then pulling-it all together with a full performance of the work. This season, Inside the Music will examine Richard Wagner’s monumental dramatic opera cycle, The Ring, and Mozart’s Symphony No. 41 or Jupiter, the last, the longest, and considered by many, the greatest of Mozart’s symphonies. The ESO Classics Series contains works by Bach, Bates, Beethoven, Brahms, Bruch, Chopin, Copland, Corigliano, Haydn, Kodály, Mahler, Mozart, Schumann, Smetana, Richard Strauss, Stravinsky, Tchaikovsky, Telemann, Villa-Lobos & Wagner. Concerts on November 3 and 4 hold works by three German titans of classical music – Beethoven, Strauss and Wagner. Andrew Grams conducts the program, which begins with Beethoven’s Fidelio Overture from his only opera, Fidelio, and also includes orchestral excerpts from Wagner’s The Ring and Richard Strauss’ Four Last Songs, sung by soprano Laura Wilde, a recent graduate of The Patrick G. and Shirley W. Ryan Opera Center at the Lyric Opera of Chicago. Grams will host the first of two Inside the Music with Andrew Grams on Friday, November 2, providing insight into Wagner’s The Ring. ESO audience favorite, pianist Natasha Paremski, returns to perform in concerts highlighting Romantic composers Brahms, Chopin and Schumann February 9 and 10. The program opens with Brahms’ Academic Festival Overture. Ms. Paremski will play Chopin’s shimmering Piano Concerto No. 2 and the program closes with Schumann’s Symphony No. 4. On March 23 and 24, Music Director Andrew Grams will conduct a program featuring two Baroque composers and Wolfgang Amadeus Mozart, one of the greatest composers of all time. The first half of the program holds Bach’s Orchestral Suite No. 3 and Telemann’s Concerto for Two Horns and Two Violins, featuring ESO Principal Horn Greg Flint, ESO Horn Steve Replogle and ESO violins, TBA. The concerts close with Mozart’s Symphony No. 41 or Jupiter Symphony. On Friday, March 22, Grams will host Inside the Music with Andrew Grams, diving deep into Mozart’s Jupiter Symphony. The season finale concerts on May 4 and 5, led by Andrew Grams, highlight the award-winning Elgin Symphony Orchestra, which has won Illinois Professional Orchestra of the Year a record-setting four times from the Illinois Council of Orchestras. The program holds the ESO premiere of Mahler’s Adagio from Symphony No. 10 and American composer Aaron Copland’s final symphony, No. 3, which includes the theme from his work Fanfare for the Common Man. In addition, on January 26 and 27, Andrew Grams will conduct the Pops concert, A Night in Old Vienna, a program of waltzes and polkas reminiscent of Vienna’s famous New Year’s concert. ESO Listener Clubs, hosted by music historian Jim Kendros, are offered the Wednesday before Classics Series performances at the Gail Borden Public Library in Elgin and GreenFields in Geneva. Free and open to the public, Kendros discusses the composers and the music that will be presented in upcoming concerts. And all Saturday night concertgoers are invited to “Mingle with the Musicians” after the show at area restaurants, where they can meet Music Director Grams, guest artists and ESO musicians. On October 5 at the Schaumburg Prairie Center for the Arts, and October 6 and 7 at the Hemmens Cultural Center, Squires will lead the ESO, the Elgin Master Chorale and guest soloists TBA in the Pops concert, American Spectacular, a musical salute to America, honoring the 100th anniversary of the end of World War I.
Squires will lead Classics concerts on January 11 at Schaumburg Prairie Center for the Arts and January 12 and 13 at the Hemmens Cultural Center that feature Haydn’s Symphony No. 94 or “Surprise” Symphony, Kodály’s exotic Peacock Variations and Anton Bruch’s famous Violin Concerto No. 1, one of the most popular violin concertos in the repertoire, performed by ESO concertmaster Isabella Lippi. Squires will conduct the ESO’s holiday concerts, Sounds of the Season, a popular Fox Valley tradition, on December 8 and 9. These extravaganza performances include soloists, dancers, the Elgin Master Chorale and an appearance by a very special visitor from the North Pole. Guest conductor Teddy Abrams, Music Director of the Louisville Orchestra, leads a Classics program of guitar favorites on March 2 and 3. Jason Vieaux, guitar, will perform Villa-Lobos’ Concerto for Guitar and Small Orchestra and Corigliano’s Troubadours Variations for Guitar and Chamber Orchestra. The program also includes Smetana’s The Moldau and Tchaikovsky’s Francesca da Rimini. The ESO will also offer a variety of programming for young people and their families during the 2018/19 season. Ainsworth Concerts for Youth will bring around 9,000 area students to Hemmens Cultural Center with the ESO providing teachers guides prior to the performances to enhance the concert experience. ESO Masterclasses with visiting guest artists will be presented free and open to the public at the Gail Borden Public Library. And finally ESO Traveling Ensembles will visit area schools giving students the chance to hear classical music up close and personal. For more information, contact Director of Community Engagement & Orchestra Personnel Wendy Evans at w.evans@ElginSymphony.Org or 847-888-0404, ext. 238. In addition, the ESO will continue its collaborations in the community during the 2018/19 season with Advocate Sherman Hospital and Advocate Good Shepherd Hospital (Musicians Care), Food for Greater Elgin, Gail Borden Public Library, Toys for Tots, Rotary International, the Barrington Area Chamber, the Elgin Area Chamber, Elgin Development Group, and more. ESO subscription renewal materials and new subscriptions for the 2018/19 season are now available. Grand, Classics, Pops & Schaumburg renewals and new subscriptions are due March 4, 2018. Public on sale and ticket exchanges begin June 4, 2018 and tickets will be mailed in August 2018. For more information, call Patron Services Manager Audra Odzana at the ESO Box Office, 847-888-4000, Monday through Friday, 10:00 am-4:00 pm or visit our website at ElginSymphony.Org. Now in its 67th season, the ESO offers programming unmatched for an entertaining, informative and relaxing cultural experience. The ESO has won Illinois Professional Orchestra of the Year an unprecedented four times – in 1988, 1999, 2005 and 2016 – and works to create an enjoyable entertainment experience that goes beyond the magnificent music performed by some of the best musicians in the region. There is accessible, free parking around the Hemmens Cultural Center and valet service available. Area student musicians often perform in the lobby before concerts and patrons can purchase gifts at the Elgin Symphony League Boutique. Pre-concert chats are given by Andrew Grams, guest artists and others one hour before Classics Series performances and Saturday night patrons are invited after concerts to Mingle with the Musicians at area restaurants. In addition, free Listeners Club lecture/discussions presented by music historian Jim Kendros are offered before ESO Classics Series concert weekends on Wednesdays at 10 am at GreenFields of Geneva and 1 pm at the Gail Borden Public Library. Flex passes are available for purchase so that you can choose your concerts at a later date based on your own schedule. And if a patron can’t make a concert, the ESO offers free exchanges to subscribers and to single ticket buyers for a small fee. The ESO is a world-class orchestra providing quality musical explorations that are entertaining, hassle-free and conveniently located close to home in the western suburbs. 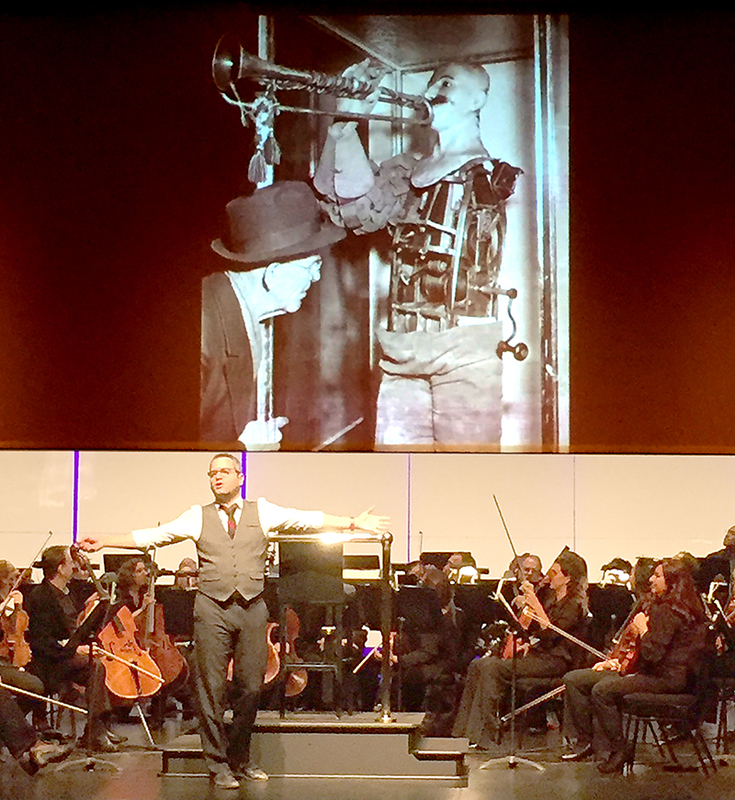 The ESO-Transforming the Symphony Experience. For more information, see ElginSymphony.Org. Niesa Patton has been promoted to Marketing and Special Events Manager at the Elgin Symphony Orchestra (ESO). Ms. Patton has worked at the ESO for four years and previously held the positions of Marketing Assistant, and Development and Special Events Coordinator. Before coming to the ESO, Ms. Patton was the Membership Services Associate at the Illinois Coalition Against Domestic Violence in Springfield, IL. She has a bachelor’s degree in communications from the University of Illinois Springfield. In her role at ESO, Ms. Patton oversees the volunteer usher program, assists the Director of Marketing with major marketing campaigns, and manages special events including donor receptions, fundraisers, and the annual Business Networking event. For more information about the ESO’s many programs in the community and to learn how to donate, visit ElginSymphony.Org. 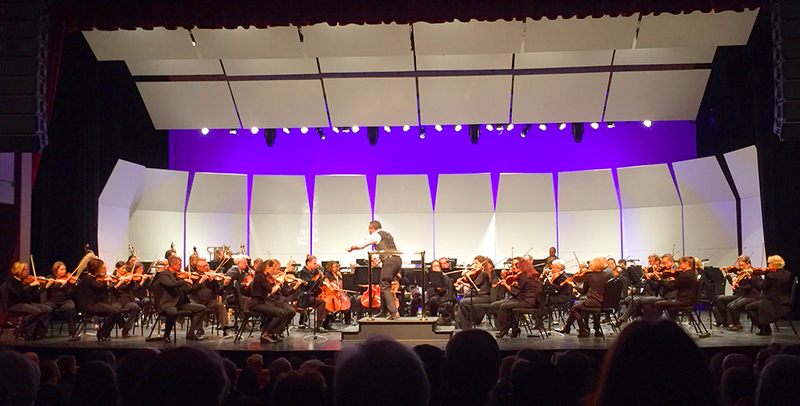 Now at the end of its 66th season, the Elgin Symphony Orchestra (ESO) offers programming unmatched for an entertaining, informative and relaxing cultural experience. The ESO has won Illinois Professional Orchestra of the Year an unprecedented four times – in 1988, 1999, 2005 and 2016, and Music Director Andrew Grams was named the 2015 Illinois Conductor of the Year. The ESO is a world-class orchestra providing quality musical explorations that are entertaining, hassle-free and conveniently located close to home in the western suburbs. For more information, see ElginSymphony.Org. Emily Brownfield has been named Director of Corporate and Grant Development at the Elgin Symphony Orchestra (ESO). Ms. Brownfield comes to the ESO with experience in both the business and non-profit world. She most recently was the Executive Director at a small nonprofit in Rochester, MN called Brighter Tomorrows, which supports families of children with pediatric cancer. She wore many hats there, including fundraising and grant writing. For more information about the ESO’s many programs in the community and to learn how to donate, visit ElginSymphony.Org. Ms. Brownfield has her bachelor’s degree in theater from Gustavus Adolphus College and a master’s degree in Philanthropy & Non-Profit Management from the University of Northern Iowa. She remarked, “I am so excited to be supporting and advocating for the arts in my new role at the ESO.” Ms. Brownfield is originally from the Quad Cities. She and her husband Chad recently moved to St. Charles, IL. Longtime arts supporter and Elgin Symphony Orchestra (ESO) board member, Sterling (Stu) Ainsworth has been named 2017 Volunteer of the Year by the Illinois Council of Orchestras (ICO). A panel of judges drawn from the Illinois Council of Orchestras Board of Directors, and of independent professional musicians, reviewed nominations representing orchestras, youth orchestra and chamber ensembles from throughout Illinois. Presentation of Mr. Ainsworth’s award will take place at an upcoming ESO concert. Due in no small part to the tireless work of Mr. Ainsworth and other ESO volunteers, the Elgin Symphony Orchestra has won Illinois Professional Orchestra of the Year an unprecedented four times – in 1988, 1999, 2005 & 2016, and Music Director Andrew Grams was named Conductor of the Year in 2015. To learn more about the award-winning ESO, see ElginSymphony.Org. Sterling (Stu) Ainsworth joined the ESO Board of Directors in 2002 and has been an extremely active and generous member. He is also the Education Chair of the Board of Directors and serves as a chair of the Education and Community Outreach committee. As part of the Education committee, Mr. Ainsworth volunteers at the ESO’s Concerts for Youth every spring as an usher and works the check-in table at ESO Family Concerts. He helps volunteer for our auction fundraisers and works at getting auction items from his many community connections. Mr. Ainsworth is also involved in many other arts organizations in the Fox Valley area. He is a strong supporter of the Elgin Youth Symphony Orchestra (EYSO); served as a Board member, as well as Board President, of the Elgin Choral Union (now Elgin Master Chorale); he was a board member and event chairman for the St. Charles Art & Music Festival and has co-chaired seven of the past eight American Grand presentations. Mr. Ainsworth is also highly involved with Kiwanis International as a Past-President and is a current member of the St. Charles Noon Club, as well as a Past-Lieutenant Governor of Division 10. A native of northwest Iowa, Ainsworth graduated from Iowa State College with a degree in Agriculture. His entire professional career was devoted to commercial agriculture, with emphasis on control of insects and weeds. Prior to his retirement from Abbott Laboratories in 1990, as manager of Global Agricultural Projects, Mr. Ainsworth held positions in field sales, marketing, product management, and sales management for large chemical businesses, including Dow Chemical, CIBA-Geigy, and International Minerals & Chemicals. Mr. Ainsworth is a founding member of the Fox Valley Rovers Travel Group (with 32 members) and enjoys traveling, gardening, and hiking. Mr. Ainsworth’s wife Tammy passed in 1993. They have four sons and four grandchildren. The Illinois Council of Orchestras was founded in 1974 with the mission, to encourage, promote and assist orchestras throughout the state of Illinois; to promote an exchange of information among members, including providing consultants and speakers; and to hold educational conferences for member organizations, including musicians, staff, boards, volunteers and audiences. For more information, see ilcouncilorchestras.org. With a unique combination of intensity, enthusiasm and technical clarity, American conductor Andrew Grams has steadily built a reputation for his dynamic concerts and long-term orchestra building. He is the winner of 2015 Conductor of the Year from the Illinois Council of Orchestras and has led orchestras throughout the United States including The Philadelphia Orchestra, Chicago Symphony, Detroit Symphony, National Symphony Orchestra, St. Louis Symphony, Cincinnati Symphony, Baltimore Symphony Orchestra, The Dallas Symphony, and the Houston Symphony. Mr. Grams served as Assistant Conductor of The Cleveland Orchestra from 2004-2007 where he worked under the guidance of Franz Welser-Möst, and has since returned for several engagements. Now in its 66th season, the ESO offers programming unmatched for an entertaining, informative and relaxing cultural experience. The ESO has won Illinois Professional Orchestra of the Year an unprecedented four times – in 1988, 1999, 2005 and 2016. The ESO works to create an enjoyable entertainment experience that goes beyond the magnificent music performed by some of the best musicians in the region. There is accessible, free parking around the Hemmens Cultural Center and valet service available. Area student musicians often perform in the lobby before concerts and patrons can purchase gifts at the Elgin Symphony League Boutique. Pre-concert chats are given by Andrew Grams, guest artists and others one hour before most performances and Saturday night patrons are invited after concerts to Mingle with the Musicians at the Elgin Public House. In addition, free Listeners Club lecture/discussions presented by music historian Jim Kendros are offered before ESO Classics Series concert weekends on Wednesdays at 1 pm at the Gail Borden Public Library. Flex passes are available for purchase so that you can choose your concerts at a later date based on your own schedule. And if a patron can’t make a concert, the ESO offers free exchanges to subscribers and to single ticket buyers for a $5 fee. The ESO is a world-class orchestra providing quality musical explorations that are entertaining, hassle-free and conveniently located close to home in the western suburbs.